Goodreads is a searchable index of books and book recommendations. 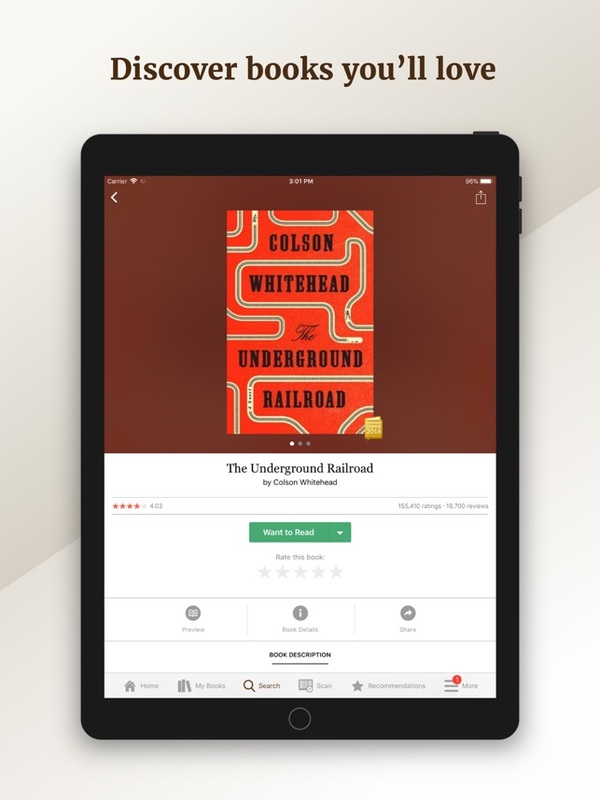 After registering with the app, Goodreads asks users to select genres that interest them and then rate 20 books using a 5-star scale. 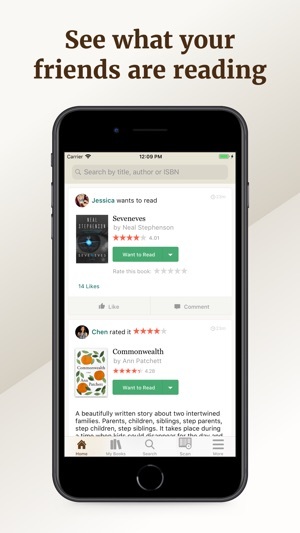 Goodreads tracks this information to personalize the reading experience for users. 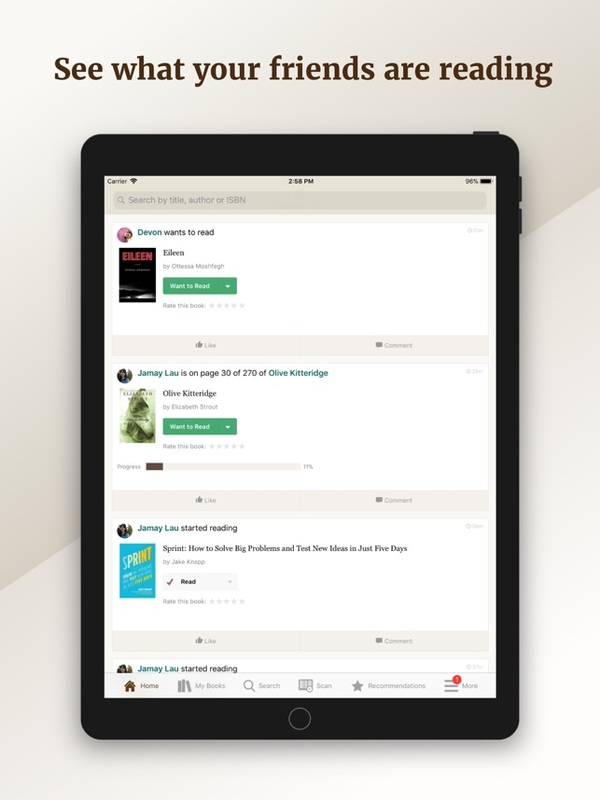 Next, Goodreads takes users to its home screen, which classifies books by genre. Here, users can see which books are trending and are most popular for the week. Additional options are available on the bottom of the screen. 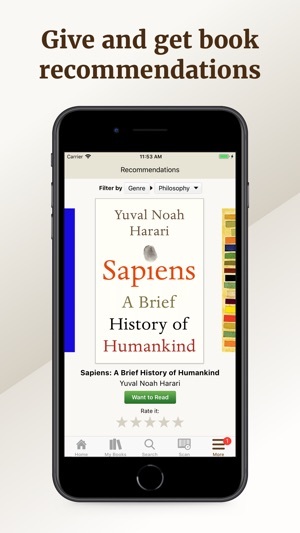 The “My Books” option allows users to keep track of books they read and want to read. 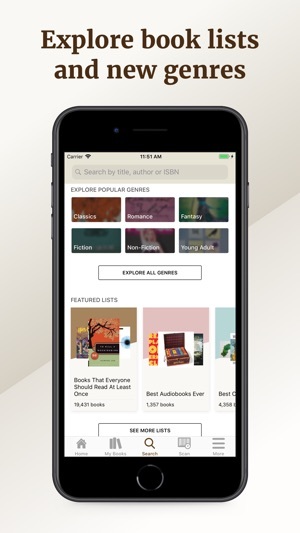 The “Explore” option lets users view books by genre, popularity, and category. The “Search” option allows users to find books and authors by entering keywords. 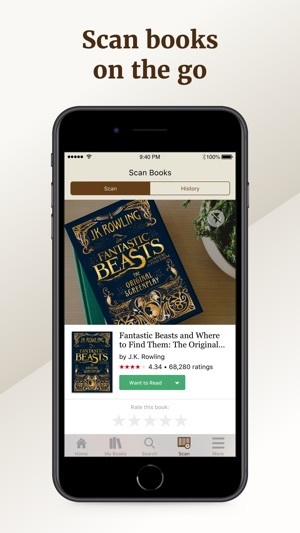 The “Scan” option lets users scan a book’s barcode. 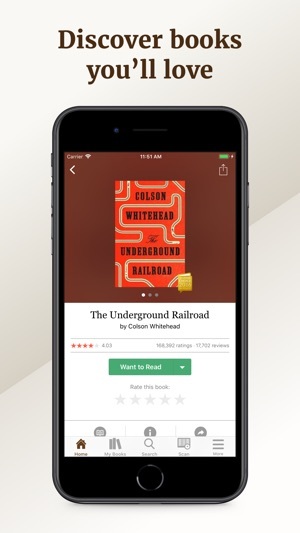 Once scanned, Goodreads presents information about that book to users. 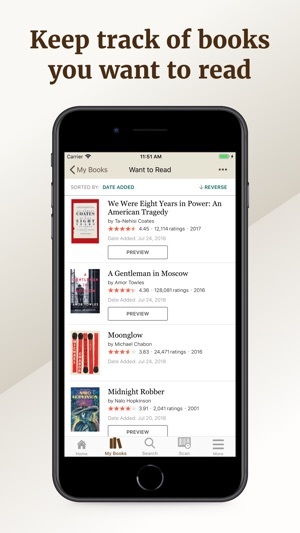 The “Recommendations” option lets users rate additional books. There is a “More” option also available in this app. With it, users can connect with social media friends, see which literary events are occurring near them, view top books of the year, and more. 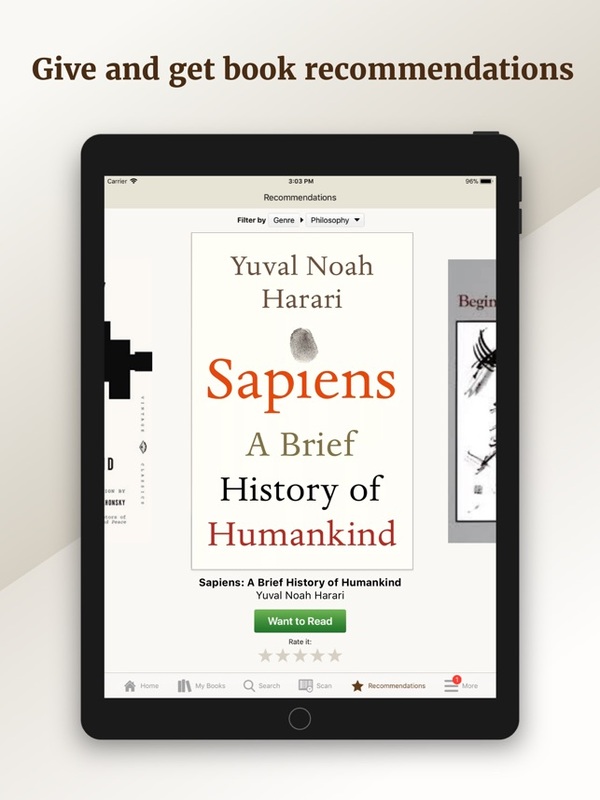 In preparation for silent sustained reading, teachers can allow students to research a book they wish to read using this app. Next, students can write a brief explanation for why they are interested in reading the book and submit that explanation to their school librarian. The librarian, in turn, can pull the book for the student or borrow it from another library on the student’s behalf. 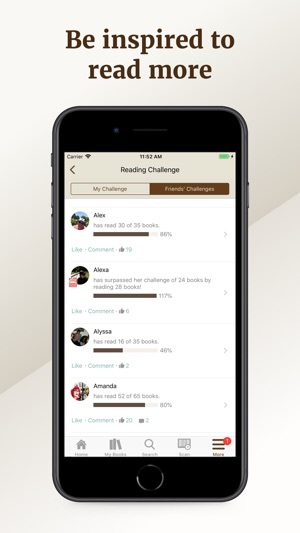 As students read books throughout the school year, teachers can have students keep track of them using the “My Books” option in this app. Teachers can have students view the “Best Books of the Year” list located under the “More” option. Students can then read one of the books on the list and compose a brief explanation that justifies why or why not the book should be included on that list. Under the “Explore” option, students can view the “Listopia” entries. Once they are familiar with them, students can create their own listopia for a topic and include books they have read as part of it. Finally, students can post the name of their listopia, an explanation of the topics covered by their listopia, and five or more books they would include with it. Students can then post that information to a class website. This way, the listopias can be shared, which may spark other students to read books that they would not normally choose.